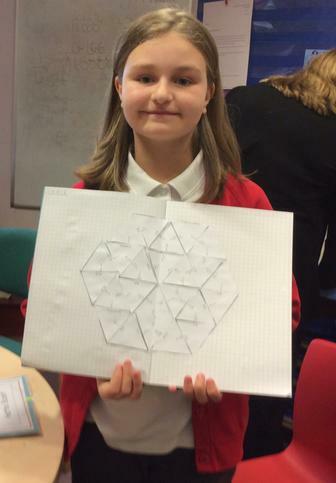 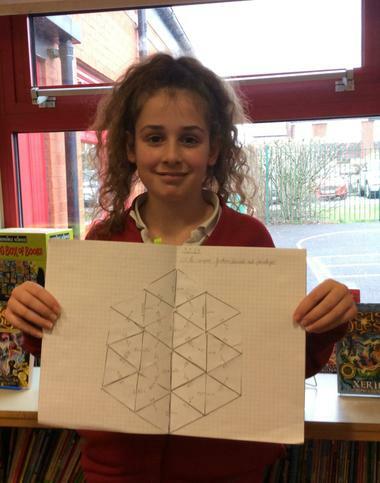 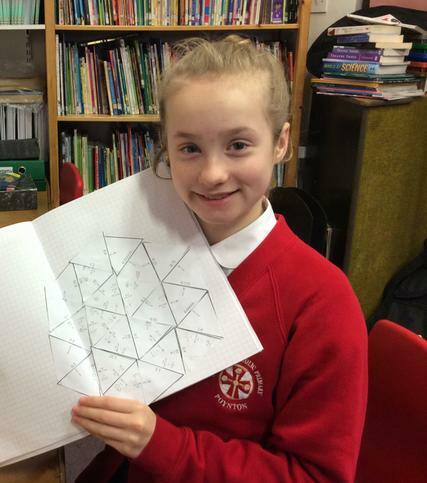 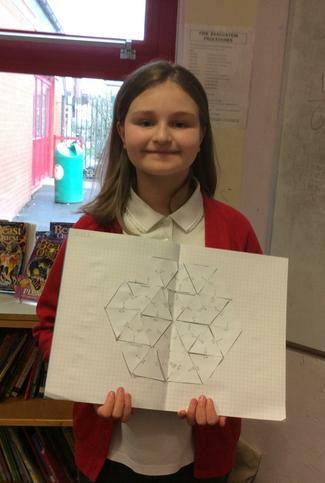 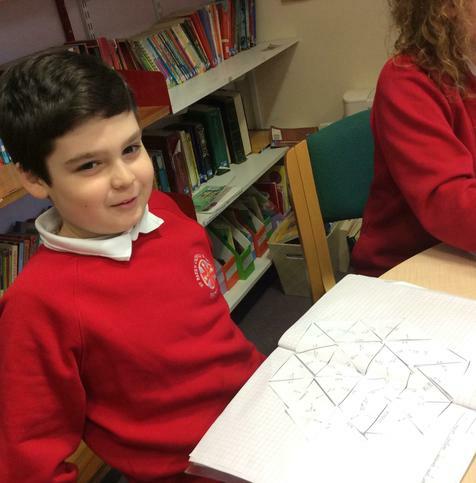 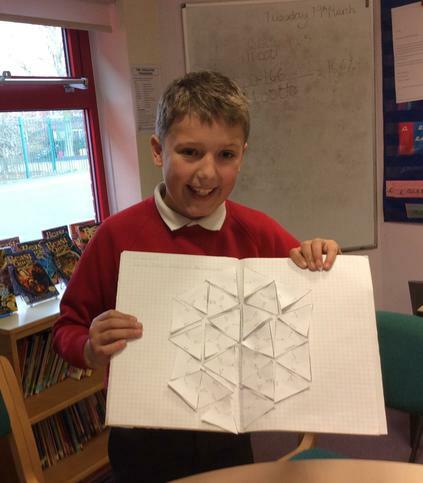 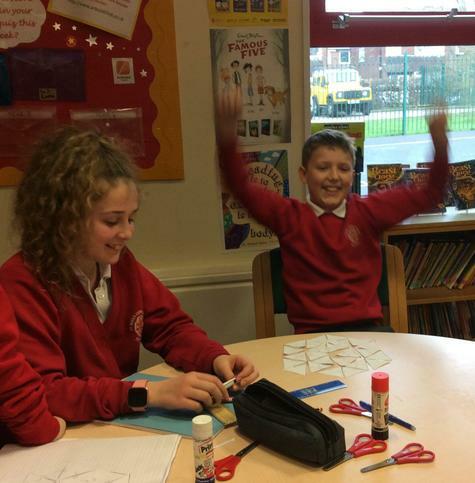 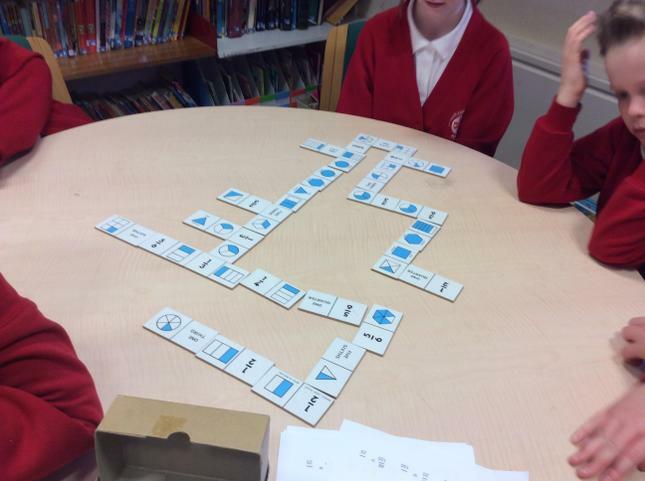 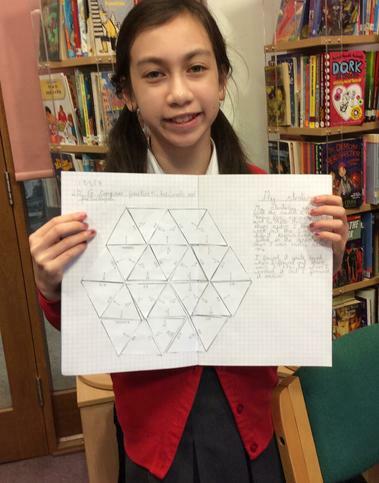 We solved tarsia problems using our knowledge of fractions, decimals and percentages. 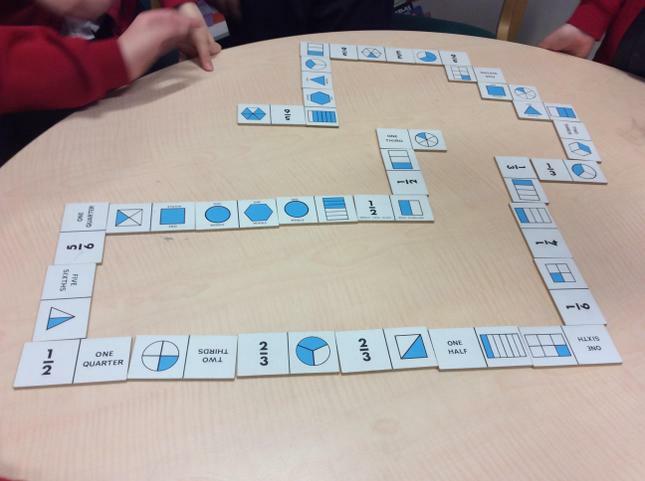 We worked in teams to match improper fractions with mixed numbers and pair up pictorial and fraction notation. 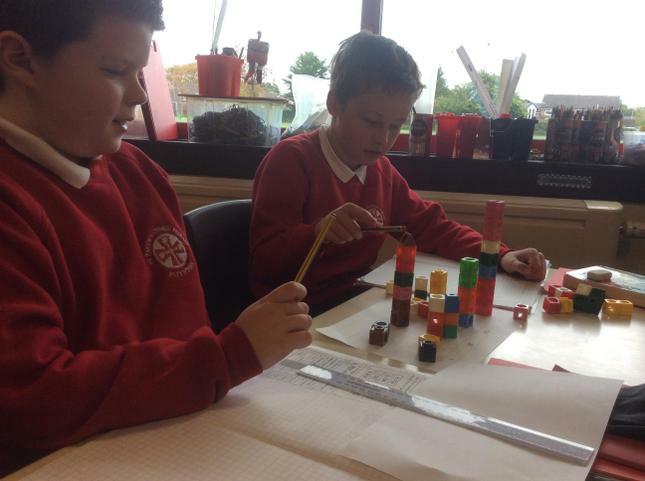 We used equipment to explain what happens when we add and subtract in columns. 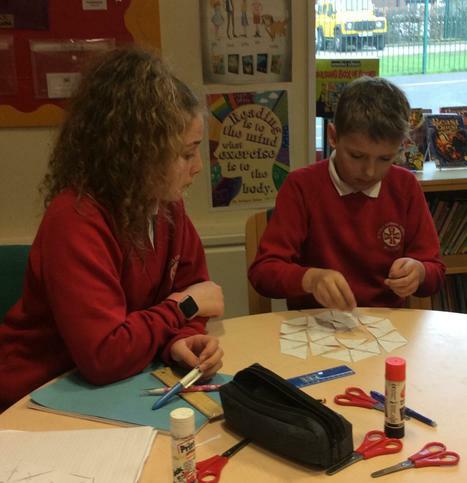 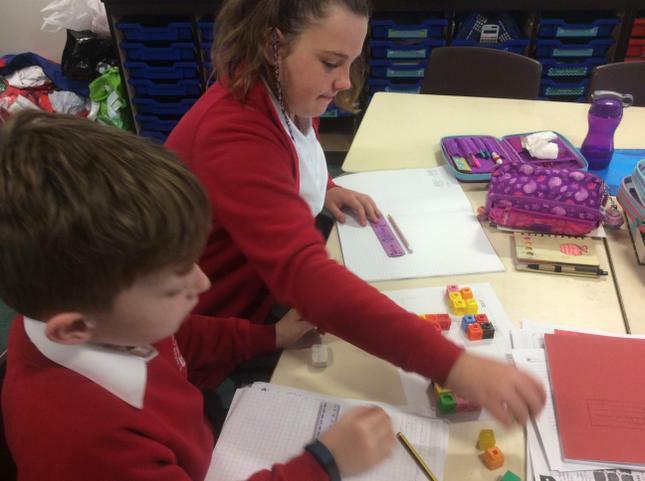 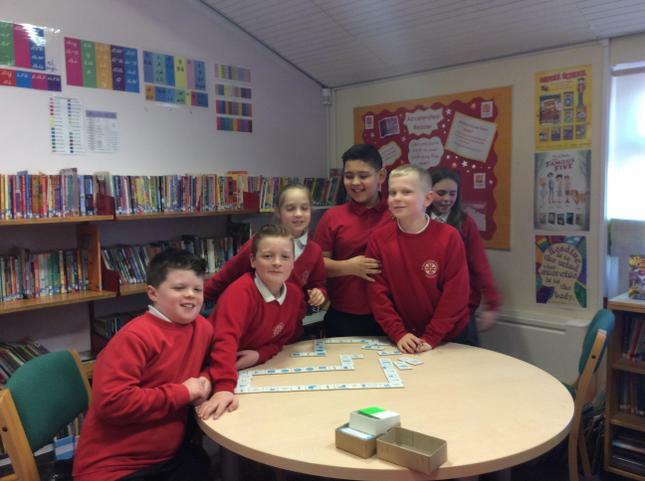 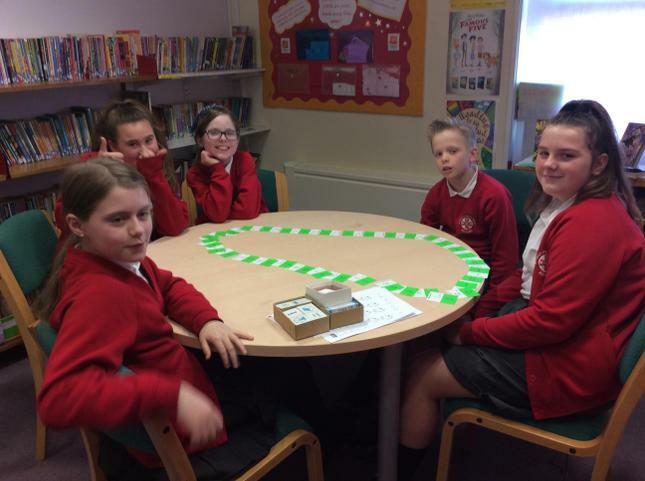 Year Six acted as peer tutors to Year Five. 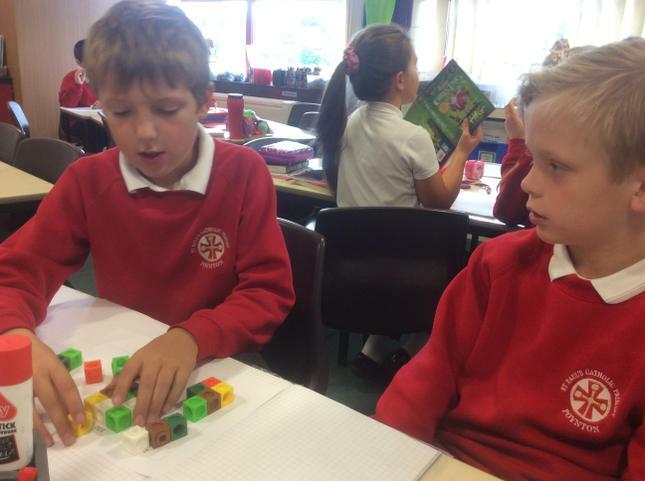 Ordering large numbers using place value.